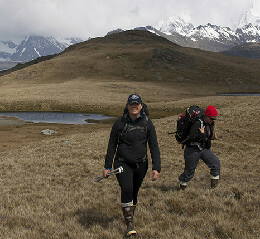 CEED researcher Dr Justine Shaw (pictured on the left) is on a roll. She has just had two articles published in the prestigious scientific journal, Nature. And she is part of a group named ‘Species on the move’ that won the national 2017 Peer Prize for Women. The first Nature article predicts the expansion of ice-free areas of Antarctica due to climate change. The research was led by Shaw’s PhD student, Jasmine Lee. In the second Nature story, Shaw is a co-signatory of a comment piece ahead of the G20 in Hamburg, outlining the urgent action the world needs to see by the year 2020. 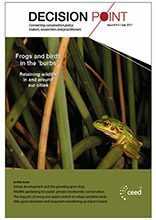 And Shaw was part of the “Species on the Move Thinkable” submission, led by Associate Professor Gretta Pecl from the University of Tasmania. The Species on the Move group includes researchers from JCU, Monash, Southern Cross University, UWA, University of Wollongong and University of NSW. The group has just won the 2017 Peer Prize for Women in the category Earth, Environment & Space. The multidisciplinary team will use the prize money from the award to support research and preparations for a Species on the Move conference to be held in South Africa in 2019. They aim to be able to support women scientists.